Robert Wilson, the leading American avant-garde theatre director, revolutionised the stage by making visual communication more important than words. His productions cut across the boundaries that traditionally have defined theatre, dance, opera and the visual arts to create a total work of art. 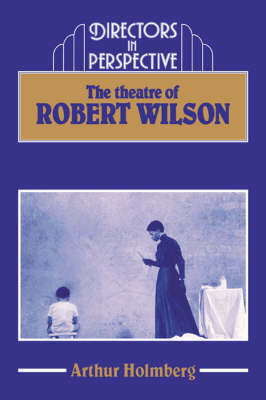 This book, the first comprehensive study of Wilson, traces the evolution of the director's astonishing career as well as his complex relationship to language and his visual rhetoric. It explains how he renovated the stage and describes in detail major productions such as: Deafman Glance, Einstein on the Beach, and the Civil Wars. Arthur Holmberg's numerous personal interviews and first-hand observations of Wilson's creative process, provide an intimate, behind-the-scenes view of one of our most original directors. Photographs and sketches from Wilson's private collection are included, along with a chronology of his work.